Home / wildlife gardening / Wild about gardening week- a time to look at the basics of life in our garden? Wild about gardening week- a time to look at the basics of life in our garden? Well it’s wild about gardening week this week, it’s a week of celebrating and encouraging wildlife into the garden. I wanted to celebrate this with my main blog for this week and I spent a while writing down various areas I wanted to focus the blog on, then something struck me, are we missing the bigger point here? 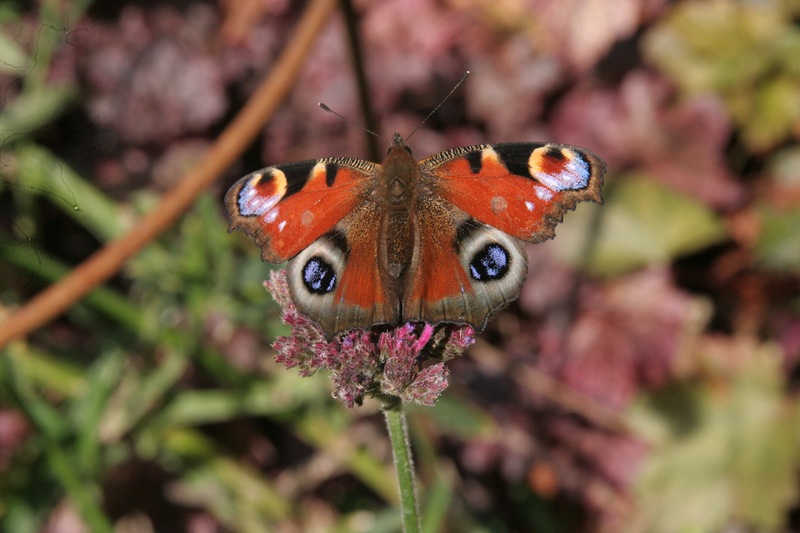 Why do we need to attract in wildlife back into our gardens when they should be there already! What is the real reason they have been lost in the first place? Well we all know about the basic chain of life in the sea, starts with sea having enough food to feed the plankton, which then feeds the next creature and so forth but how well do we understand the basic needs of things in our garden? Everything comes from one of the most important things on this planet, the soil! From this humble matter, all terrestrial life comes from it, supporting plants, insects, animals and in the end, us! If the soil is removed and laid to concrete or mistreated then everything that relies on the soil will be effected and then disappear leaving our gardens a barren wasteland of wildlife. If we want to see more wildlife in our gardens for the children or our enjoyment, you will need to start looking after the soil, feeding with organic mulch of compost, leaving the leaves on the surface of the beds for the worms to pull down and other insects spaces to hide, breed and feed under, we forget that old spent foliage is nature’s way of looking after the soil by providing all the micro organisms with a food source, in turn, their waste provides the plants with nutrients and a well balanced soil, sort of nature’s own way of recycling, less heavy digging to disrupt the soil structure, looking at allowing insect pests like aphids and slugs, time to attract in their predators, instead of spraying them off and putting down pellets to kill them off. Look at growing healthy strong plants that will be able to cope with some level of attacks and avoid monoculture yes yes that does include lawns. The garden will benefit from good healthy soil by growing stronger healthier plants that in turn will end up bringing in much more wildlife and give you a chance of enjoying a healthy garden with a heathy level of wildlife in your garden. Adding features into your garden like ponds to attract in a wider range of life into the garden, habition areas like insect hotels, wood piles, hedgehog homes and bird boxes (placed in the right spot in the garden), feeding stations for birds, insects and animals can be then used as top up stations for when food is scarce or other times of need, as much as I love watching birds on the feeders, watching them in the trees finding all the hidden overwintering greenfly is much more fun to see. We can start to work at providing extra habitats to hold a wider range of wildlife that your garden can hold but knowing the garden is already a healthy place for them to live. We can help our children to understand that the soil is a thing to be admired, very much like water is known as the fountain of life, the soil should be held with the same level of respect. The creatures that live in it like beetles, ants and worms should be held as hero’s and a child holding a worm taught to admire rather than told to ‘put that orride slimy thing down, don’t know where it’s been’ and have hands cleaned within micoseconds with a mix of wipes and sterlizing gel. Personally I welcome such brilliant weeks like this, our children are the future of our planet, let’s teach them about it so they can preserve it for their children. I wholeheartedly agree Thomas. A lovely post. It is so easy to forget that a neat tidy garden is more sterile and lifeless. I can’t bare the thought of concrete jungles and all the front gardens paved for cars. My kids love getting their hands dirty, making soup from rainwater puddles, leaves and spent flower heads, picking up worms and even keeping them in a “worm world” in their bedroom. If I can get my kids to understand the value of soil and worms I think I’ve made a good start!